One of the great passions of Bernard de Coen is reading. He has been following a reading programme since 1988 based on the book "La Bibliothèque Idéale" written under the direction of Bernard Pivot (Editions Albin Michel). He is now passed halfway (55%) and is currently reading the "Mémoires du Cardinal de Retz". 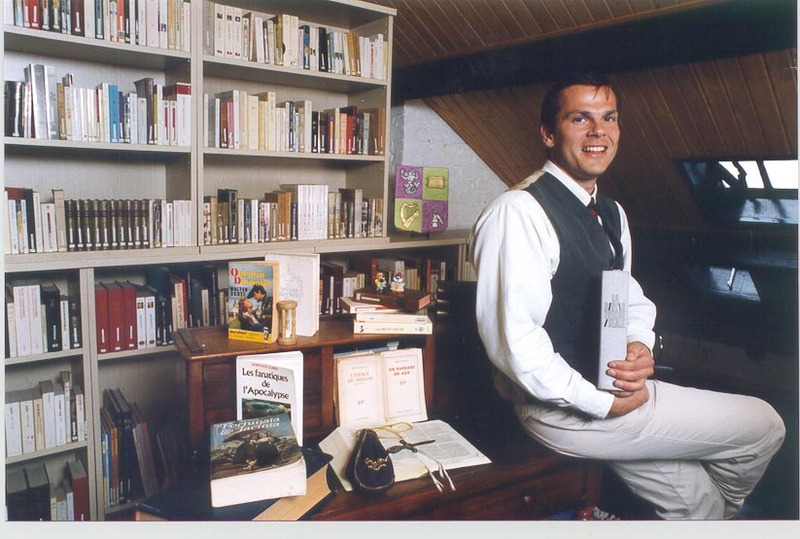 This picture was taken to illustrate the page about his library that was published in De Standaard's series "De Bibliotheek van..." on May 30th 1996 (SdL p.20).